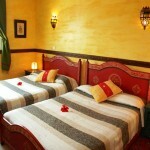 Just two minutes’ walk from the beach and 20 minutes from the Medina and souks, you’ll find this family run Riad with its 23 bedrooms has everything you need for a delightful holiday as a family, a couple or with friends. 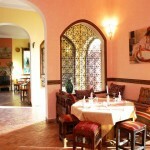 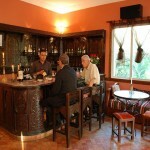 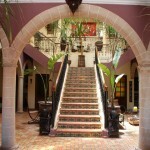 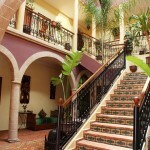 Riad Zahra, your Hotel in Essaouira, is in the residential quarter of Essaouira. 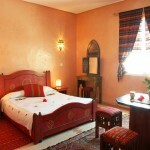 All its comfortable bedrooms are decorated in traditional Moroccan style and have en suite bath rooms, satellite TV and Wifi. 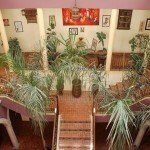 There are family sized rooms, others have balconies and some enjoy a sea view. 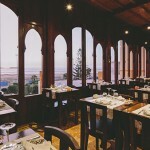 And you’ll enjoy meals in our two restaurants whose great range of Moroccan, Asian and Spanish dishes is enhanced by a wide choice of the Kingdom’s wines. 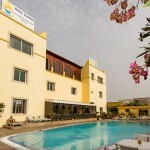 Open air swimming pool, terraces and parking.